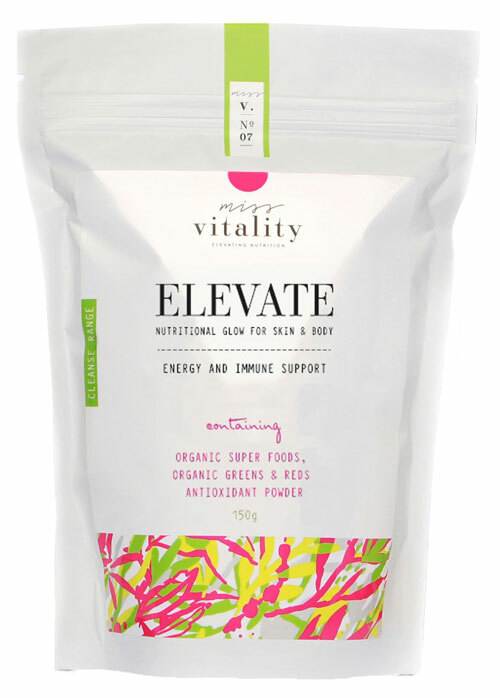 Continuing our discussion on our fabulous new Miss Vitality range. In Part I of these series of blogs on Miss Vitality we gave you an insight into how the Miss Vitality range was formed and introduced you to the benefits of Clean Tea. Now we would like to present to you, three other products in this range. Compromised skin needing healing and repairing. This organic super food provides energy and immune support and contains ingredients that will help delay certain aspects of ageing. It also cleanses and heals the intestinal tract, supports immunity and reduces inflammation. Half the recommended daily dose is ideal for those suffering from Irritable Bowel Syndrome. Elevate alkalises the body and therefore reduces inflammation. It is suitable for everyone, including all skin types. Rosacea and acne prone skin will especially benefit from the anti-inflammatory properties. It is also a great protein kick for exercising and gym workouts. It contains ingredients including Slippery Elm which strengthens, heals and soothes mucous membranes in the intestinal tract. This product is ideal for those who are intolerant to grains. Elevate will also lessen your urge to snack in between meals. Taken daily in a smoothie, coconut, fresh juice or plain water, Elevate will assist in the absorption of vitamins and minerals while healing from the inside out. This energy boosting antioxidant builds Vitamin E production to assist the skin in repair and reduce ageing at a cellular level. It is ideal for all skin types, especially those with pigmentation or inflamed skin conditions. It is great for dull and devitalised skin and is effective in positive recovery from in-clinic treatments and surgery. 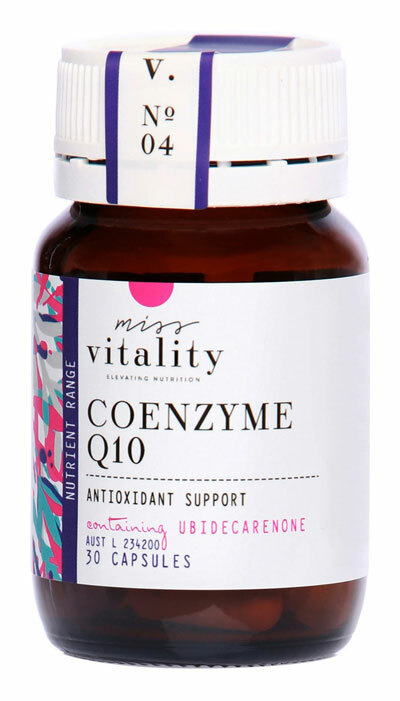 To be taken only in the morning, CoEnzyme Q10 is a great post-party pick me up. Caution: CoEnzyme is not suitable for those taking blood thinning medication such as Warfarin. This all round skin specific, multi-nutrient formula is a high dose antioxidant. It helps prevent ageing by ensuring that cells are protected from oxidative damage and stress and provides skin support for healing, repairing, and skin recovery. It is beneficial in regulating the production of sebum (oil) in the skin and also supports healthy thyroid function. This multi-vitamin also supports the nervous and hormone systems and is beneficial in times of stress. 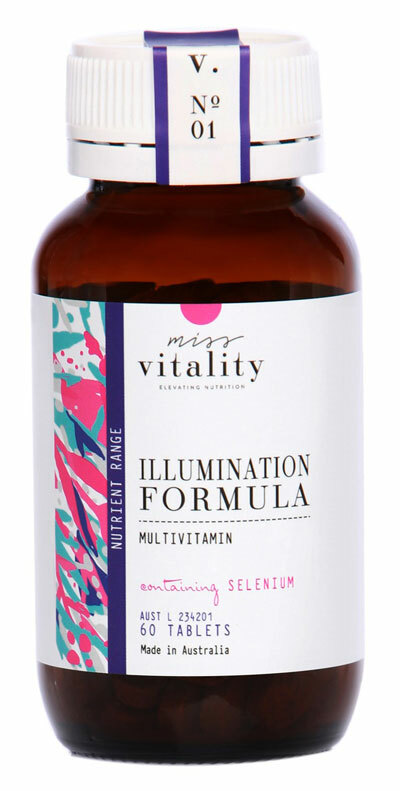 Caution: Illumination Formula is not to be used in pregnancy.